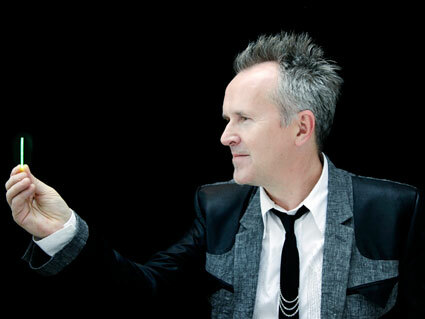 Howard Jones’ name is one of those that – to American audiences, at least – is most closely associated with early 80s MTV. His bouncy and upbeat (yet substantial) hits were a mainstay of the channel’s early programming. Jones’ sound was a danceable pop-rock imbued with then-current synthesizer sounds, and some of his visual cues – his hair, the mime that traveled as part of his stage show – are iconic images of the era. Like most of us, Howard Jones has matured since the 80s. His music has remained keyboard-centric, and his lyrical themes remain close to home. But his choice of instrumentation on Ordinary Heroes (his latest album) may surprise anyone who hasn’t followed his work in recent years. 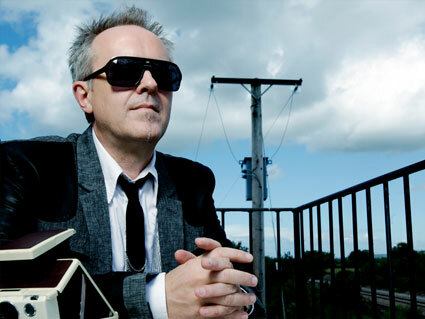 On the occasion of that album’s release, I spent some time in conversation with Howard Jones. Bill Kopp: One of my first thoughts upon listening to Ordinary Heroes was an obvious one, that this represents a departure for you. But as I listened further I came to the conclusion that while it might be a stylistic departure from your earliest recordings, it’s not so much a thematic one. From my standpoint, all of your music is — lyrically speaking — at once both introspective and about “big ideas.” Do you think that’s an accurate assessment? Howard Jones: Yes. Absolutely. For me, that’s the thread that runs through all of my work. Exactly as you said. I like to do all sorts of things, to present my music in different styles. But in all of it, what I’m saying has a common theme. That’s true right back to the beginning. So I definitely agree with you there; that’s very astute. Bill Kopp: This is perhaps another obvious point, but the music on Ordinary Heroes seems much more adult, mature than your earlier work, which could easily be described as youthful and exuberant. Would you agree with that? Howard Jones: [laughs] I know what you mean. It’s just that this is a particularly personal selection of songs, really. I’m talking about some quite personal things. Take “Soon You’ll Go,” which is about my daughter leaving home. And “You Knew Us So Well” is about a friend of mine who took their own life. And so I don’t think I’ve got that personal previously. But I think that is a good move for me, and it was certainly appropriate with this album. I just had a collection of songs that suited a kind of intimate, grown-up sort of presentation. But the next album will probably be much more [laughs] banging and electronic! I treat everything like a project now, and I don’t get too worried about how different it was to the last thing. Because I know I’m going to make another record, and I think the fans are really happy to come on this journey with me. I don’t do the same thing every time, and they’re kind of used to that. That’s what I am. That’s who I am as an artist. So I just have to do it, really. Bill Kopp: I was speaking to a friend recently. We had just gone to the memorial service for the wife of a friend. On the drive home were talking about this: there’s a time in your life when all of your friends are getting married. Then all of your friends are having kids, then at least two-thirds of your friends are getting divorced. And then their kids and yours are going away to college – like my daughter did a couple of years ago – and then you start going to funerals. And so, on some level, if you’re going to be true to the things that are knocking around in your head, you’ve got to be writing about different things than you were when you were twenty-two. Howard Jones: Exactly. That’s a good way of putting it. I’m very aware that my fans and me, we’re getting older together. And we are experiencing different things in our lives. And I like to write about them, because I think the mission of an artist is to articulate stuff that’s going on, and our response to it. Questioning it: that’s the job of the artist. Then people can listen, and go, “Oh yeah, that’s how I feel; that expresses my feelings about this as well. I actually don’t have the time to do it myself, but…” And artists like me, that’s what we do. That’s our function. I very much think of it like that. Bill Kopp: The musical approach is very straightforward. I listened to the album closely, in an otherwise quiet room. And one thing that struck me, perhaps because I’m a keyboard player as well: on nearly every track I can actually hear what I am pretty certain is the sound of you taking your foot off of the sustain pedal! Howard Jones: Yes, that’s right. [laughs] I’ve had a bit of flak for that; some people don’t like that. But for me, when I’m sitting at the piano, that’s what I hear. That’s all part of the sound. And I close-mike the piano. For me to get it to be the most real, you have to get that sound of the dampers coming off the strings. To me, that’s an integral part of what the piano is; not a kind of synthetic, synthesized sound that people are more used to. But I just love all that mechanical noise. The piano is a very mechanical instrument, and to hear all that makes it just that bit more real. And it connects you to the person playing it. Bill Kopp: There’s a very intimate vibe to the record, almost as if the listener is in the room with you. I found the sound charming; at first I thought, “What? Is that what I think it was?” But then I heard it throughout the record. I don’t think – other than perhaps on a classical album – that I’ve ever heard that on a record before. Howard Jones: Well, I can tell you that I’ve had a couple people who’ve [laughs] wanted to send the album back! This album was recorded at 96kbps, a really high resolution. A much higher quality than a CD is. But for me, capturing all that real stuff is what it’s about.